It was a tense night at the judges' table during “America’s Got Talent” live show! 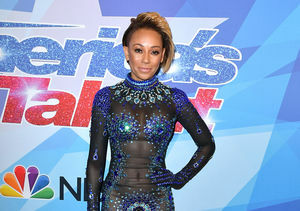 Simon Cowell infuriated Mel B by jokingly comparing an act to her wedding night, saying, “I kind of imagine this would be like Mel B's wedding night: A lot of anticipation, not much promise or delivery.” Mel B shocked the audience by throwing water at Simon as he spoke and storming out. Is Mel B Dating a Real Beverly Hills Cop?